Add visual impact to concerts and programs with this helpful "how to" guide for music teachers and directors who find themselves with a stage full of KIDS ON RISERS! This instructional DVD is loaded with ideas to enhance the visual aspects of your performances, even in very limited space. From large groups to small, show choir to concert choir, your cast and choir will look as good as they sound! 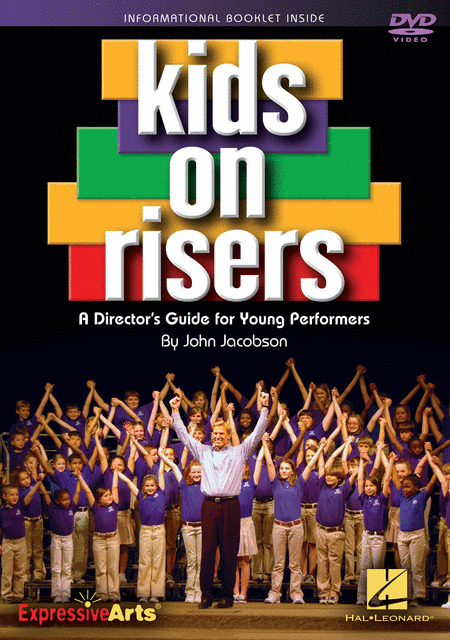 See how even a small move can make a big difference, as demonstrated by John Jacobson and a stage full of elementary and middle school students! DVD highlights include: creative formations and ways to move on to the risers, effective choralography and simple riser moves, period moves, 4 dance numbers - complete with costumes and props, and even a few movement lessons led by John for your students to join in!